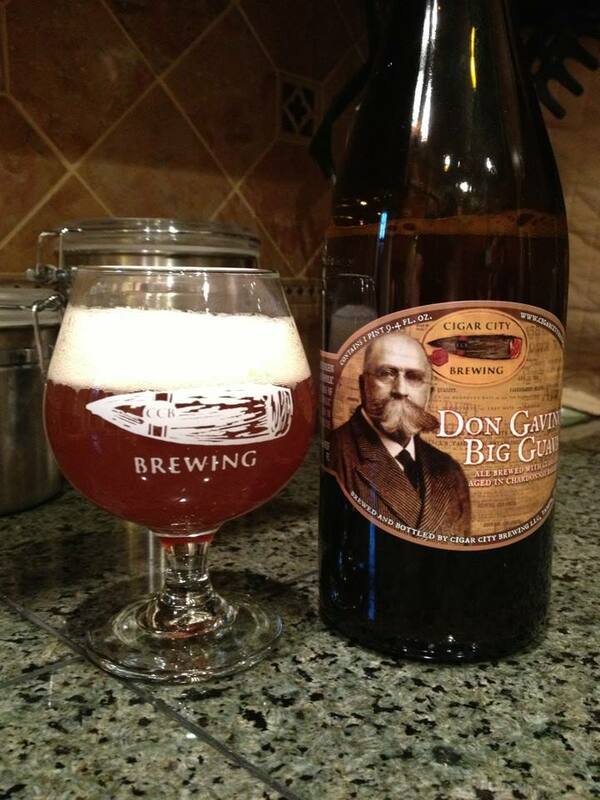 Durham is a beer lover’s destination. There is a brew-pub and two breweries all within a square mile of each other, not to mention one of the best beer stores I’ve ever been to. Whenever I visit a new place I like to do a little research so I make sure I hit everything I want to see and then let chance take over. I learned that Durham, despite being the fourth largest city in North Carolina, has a very walkable downtown with most of the major beer venues being within that downtown area. My research gave me one major destination, Fullsteam Brewery, but several other possibilities. I was in Durham for work so I couldn’t run off to Fullsteam right away. But a lunch break did allow me to visit Bull City Burger and Brewery. Bull City set up what I found to be a consistent theme in Durham, a desire to serve locally sourced food and drinks. Bull City works with local beef farmers to provide the meats for their in-house made burgers and hot dogs. Bull City makes all their own buns, mustard, pickles and just about everything else they serve. They also send all the used grains and food waste back to farmers to use as feed and they process their frying oil into bio-diesel. All that and they still mange to produce some pretty fine beer. My favorite was the Honeycutt Milk Stout, a creamy stout with a slight but pleasant bitter finish. From the menu I learned that the beer is named after Charlie Honeycutt, a Durham local who served up liquor from the back of his house in the early 1900s. The Bull City beer menu is full of information about all the beers on tap, stories on how the beers were named, a good description of what to look for in the beer and of particular interest to home brewers, the listing of the types of hops used in each of the beers. 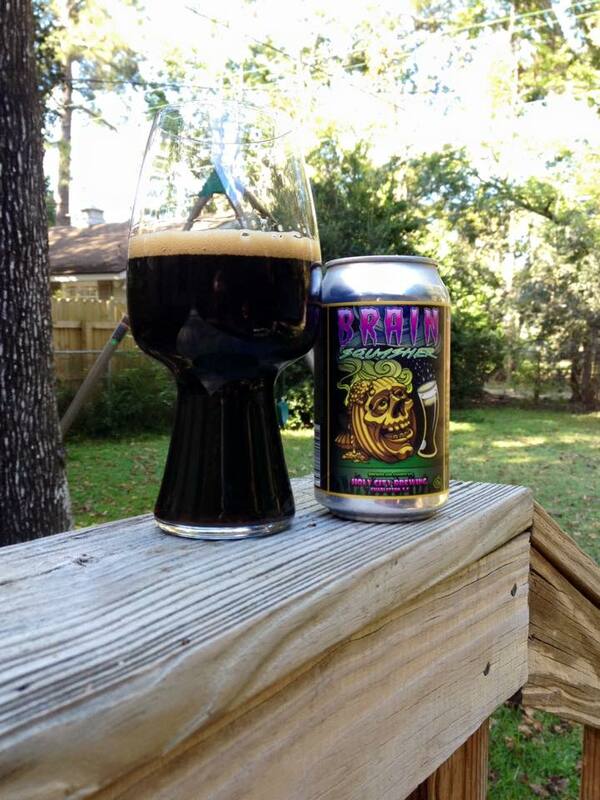 Speaking of home brewing, Bull City has an annual home brewing contest where the winner has their beer scaled up to be served in house. Bull City Brewing is well worth a visit if you are in town. Local craft brew shop Sam’s Quick Shop was my second stop in Durham. My visit there was quite frankly a bit overwhelming as the selection was massive. 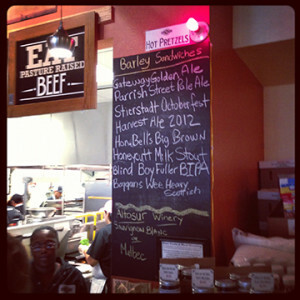 Sam’s had several beers on tap to make the shopping experience go smoothly. I chose a pint of Terrapin’s Samurai Krunkles and had a long look around (I did not make a quick stop). In the end, with a little help from the Sam’s staff I left with a few bottles of Highlands Black Mocha Stout, People’s Porter and what was described as the “best beer in North Carolina”, the barrel aged version of People’s Porter both by Foothills Brewing Company in Winston Salem. I made it to Fullsteam Brewing on my final night in Durham. Fullsteam’s goal is to create a distinctly Southern brewery and build a Southern beer economy. They do this by brewing up all sorts of beer with distinct flavors made from Southern, and particularly North Carolinian, sources. These include grits, local honey, sweet potatoes, persimmons and locally grown barley and oats. They even have a Forager series of beers made up of ingredients “foraged” by the brewery’s regulars. These elements were present in several of the beers I tasted. One of the things I liked best about Fullsteam was that they served up half pints. The half pints made taking in several beers less intoxicating but gave you more than a small taste and allowed for the experience of the changing flavors of a beer. I had no misses at Fullsteam. Everything I tried was very good, but a few stood out above the others. Carver is a sweet potato beer, something I’m usually not into but this one was nice with the sweetness only coming through at the end. Working Man’s Lunch was a fun beer made with Moon Pies. There were slight banana and chocolate flavors but the beer was far more refreshing than I ever expected. My favorite of the night was Beasley’s Honey White, a very good cloudy wit with just a touch of honey sweetness that finished with an unexpected black pepper flavor. 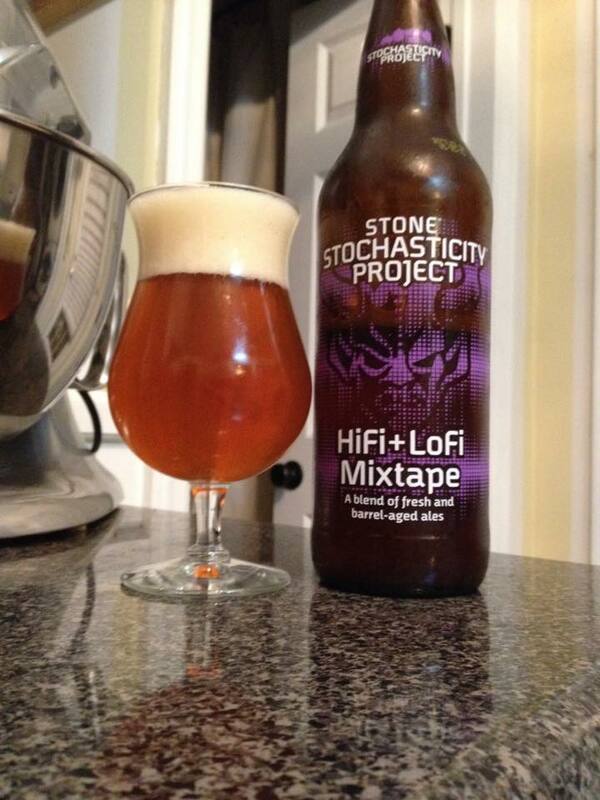 With that flavor and at 5% ABV this was a super easy to drink beer. Fullsteam doesn’t serve food but there are a number of rotating food trucks at the door and they encourage food at the bar. I had some super fish tacos with my beers to round out what was an excellent evening out. 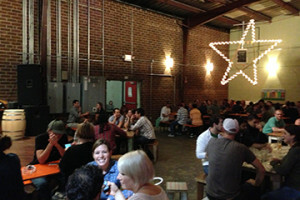 Fullsteam also offers all sorts of events and a game room. For those of us at Brew/Drink/Run the best event might be the Fullsteam Ahead running club organized by the Bull City Running Club where you can “earn” your beer by running. 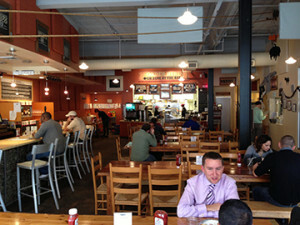 Bull City Burgers and Brewery is open M-TR 11:11-10:00, Saturday 11:11-11:00 and Sunday 11:11-8:00. They can be found at 107 East Parrish St. Durham, NC 27701, online at http://www.bullcityburgerandbrewery.com and via phone at (919) 680-2333. 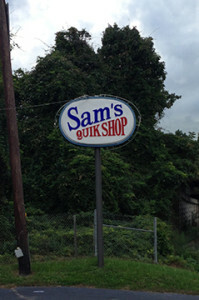 Sam’s Quick Shop is open Monday 9 am – 12 pm, Tue-Sat 7 am – 12 am, Sunday 8 am – 11 pm. They are located at 1605 Erwin Rd, Durham, North Carolina 27705, online at http://samsquikshop.com/ and via phone at (919) 286-4110. 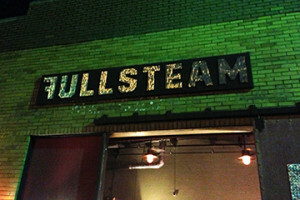 Fullsteam Brewery is open M–TR 4pm to midnight, Friday 4pm to 2am, Saturday noon to 2am and Sunday noon to midnight. 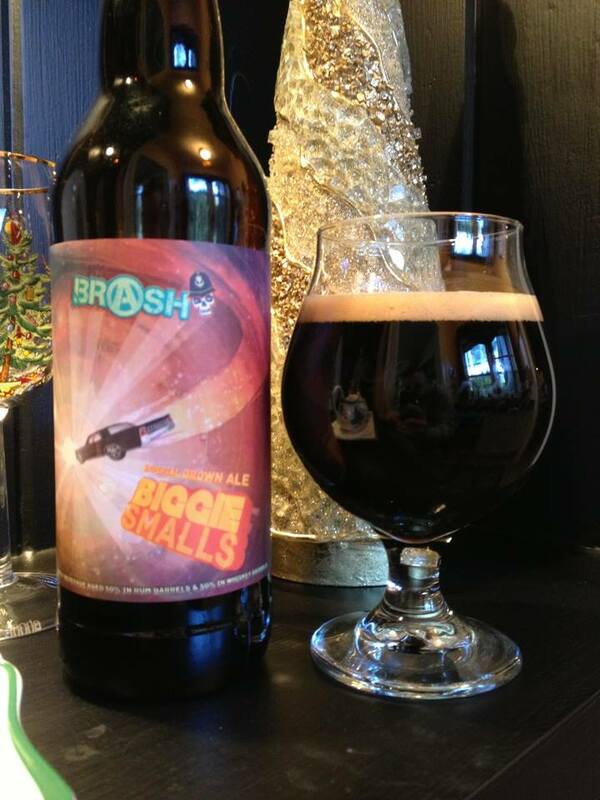 They can be found at 726 Rigsbee Avenue, Durham, NC, online http://www.fullsteam.ag/and via phone at 919-682-BEER or 888-756-9274. FullSteam is a family and dog friendly brewery.